As a home seller or buyer in Massachusetts there are always questions that come up regarding testing the water when a home is serviced by a private well. If you happen to be buying a Massachusetts home that is serviced by a well and not by public water you better make darn sure that you have it tested as part of your contingency of sale! When I am working as a buyers agent one of my functions is to recommend a good home inspector. In addition to the home inspection part of the buyers due diligence also includes testing for other things such as radon, mold and the water. When you are testing the water you are going to want to do what is known as quality and quantity test. Both of these tests are equally important as you want to make sure the water is safe but also that you will have enough to service the home properly. While testing can vary from state to state on what you should be checking the Environmental Protection Agency (EPA) suggests that you should be screening for coliform bacteria, nitrates, and the PH level. It is also advisable that you check for the more harmful contaminants such as arsenic, lead, copper, and volatile organic compounds. In Massachusetts there is no state requirement for testing a well when purchasing a home! Under Massachusetts General Law, (MGL Ch.111 s.122) local Boards of Health (BOHs) have the primary jurisdiction over regulating private wells. The local board of health is empowered to adopt Private Well Regulations that establish criteria for private well siting, construction, water quality and quantity. For example in my home town of Hopkinton Massachusetts, the board of health has instituted a policy that makes it mandatory to test your wells quality when you are selling your home if it has not been done in the last 5 years. It is a measure of public safety to know that the towns homes have good potable water. What is interesting is that most lenders using conventional loan products do not require the testing of a homes water system. You would think a bank would want to know that the home they are lending money on has a sound water system but I have rarely seen this as a condition. When taking the sample of the water it should be taken from the cold water tap at the kitchen sink. If the home has a water treatment system it is advisable that you get two water samples taken. One before the filtration system and one after. This of course makes perfect sense because it would allow you to know what contaminates are present and also make your aware if the water treatment system is doing it’s job as intended. Interestingly enough I have rarely ever seen an inspector do both. Believe it or not I usually see it done one way or the other but not both. Some home inspectors will provide water quality testing as part of their service. When I am working as a buyers agent, I like to have my clients use the services of a well company that specializes in water testing. Whoever takes the sample usually will be in charge of sending it off to the lab that will analyze the water. The lab that the water is sent to should be state certified. These labs follow specific procedures for testing contaminants. The charge for testing the quality of the water can vary from inspector to inspector. I would plan on at least a couple hundred dollars for a water quality test. Once the test is completed and the water has been checked you will get a report that spells out the level of each compound in the water along with a corresponding limit that the EPA requires for it to be considered a passing test. One element that often goes untested is Radon. While many buyers are aware about radon in the air and usually test for it, many Real Estate agents fail to recommend that their buyers test for radon in the water. This is something you specifically need to ask to screen for as it generally is not provided in a standard test. There are a couple things that should be noted about radon in the water. There is no national EPA mandated passing level for radon in the water. It varies from state to state. In Massachusetts the passing level is considered to be under 10,000 pCi/L. The cost of remedying radon in water is much more costly than when it is found in the air. Generally speaking radon that is found in the air inside a home can be cured for around $800-$1500. Most of the homes that I have sold that had a radon issue cost around $1000 to re-mediate. Radon in water is a different story. Depending on the type of systems used, the cost generally can run between a couple thousand up to seven or eight thousand. The two types of radon treatment systems are aeration and granulated activated carbon (GAC). The aeration system is the more expensive of the two. Both are considered to be effective but the aeration system is preferred in homes where the pCi/L is higher than 25,000. When a well is 1st drilled there is usually a log that is registered at the local board of health. Within the log there will be information regarding the well’s capacity and the yield in gallons per minute. It is always good to see what the well’s history was when installed, however, it is possible the yield could change over time. This makes it vital that you check the well’s quantity prior to buying a home. There are companies that specifically deal with checking how much water a well produces. The company that is hired to test the well quantity will more than likely run a garden hose into a one gallon bucket and monitor the output over a 4 hour time period. Most board of health agencies and others in the well industry recommend a flow rate of 5 gallons per minute for a period of 4 hours as an optimum minimum water supply capacity for a private well. This volume is equivalent to 1200 gallons of water delivered within a 4 hour period and should be adequate for all indoor water usage as well as a modest amount of outdoor use, not including heavy irrigation. 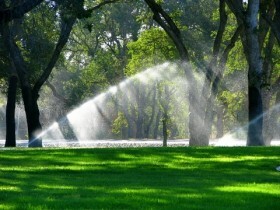 If you are a fan of having a perfectly manicured lawn and landscaping and are going to be using large amounts of water through an irrigation system you are more than likely going to want the well to produce more than 5 gallons per minute. The company that is my preferred vendor for water testing is Northeast Water Wells. I have found Northeast Water Wells to be very customer service orientated and knowledgeable. They are a full service well testing company that also will work with irrigation wells, geothermal wells, well abandonment and rehabilitation, hydro fracking, zone fracking, sanitizers and water softeners, water pressure holding tanks, and pressure boosting pumps among others. Northeast Water Wells does testing all around Massachusetts and is also located in New Hampshire as well. Testing a well when buying a Massachusetts home is always an important consideration! About the author: The above Real Estate information on testing a Massachusetts well when buying a home was provided by Bill Gassett, a Nationally recognized leader in his field. Bill can be reached via email at billgassett@remaxexec.com or by phone at 508-435-5356. Bill has helped people move in and out of many Metrowest towns for the last 24+ Years. Next post Need a Massachusetts Short Sale Realtor? Don't Pick a Short Sale Buffoon! This is an excellent and thorough discussion of how to check out the water supply when buying a house. Just about everything I sell is on a public water supply but I’m going to bookmark this post as a reference for buyers interested in a house with a well. Thanks! This is informative and valuable for real estate professionals and our clients alike. Thanks. Much appreciated. Bill-I came over here from searching on Active Rain for info on the WordPress Thesis theme. Your blog looks great. 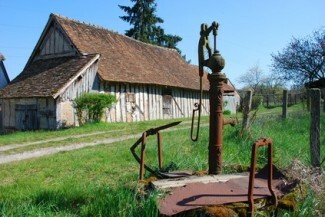 I live in a rural area so many of our homes are serviced by private wells. The county health department comes out and takes a water sample, then sends it off to a lab in Jackson (state capital). Radon is not common here. I have heard of one time where a buyer wanted a test. The agent had a very hard time finding someone who was qualfied to do the testing. Pam – Thanks for the compliment on my Massachusetts Real Estate blog! It is always interesting to me how different areas of the country can vary on what types of inspections that are conducted in a home sale. Your comment about people not testing for radon is surprising because it can be anywhere. It is my understanding that city water supplies never have trouble with radon due to the fact that the reserve water supply is naturally aspriated. The Radon is released into the atomsphere by natural process. I use a reverse osmosis sytem in our home. I first fill up a sanitized water bottle (gallon) and let it “breath” loosely capped for 24 hours in the garage before putting the bottle (capped) into the refrigerator to cool. This water is used for drinking and cooking. I haven’t checked for Radon in the water supply. Should I be concerned even after the proccess I put the water through? I have no idea how long Radon takes to vent. Maybe you do. Jeff the health risks from radon in water do not come so much from drinking it. Radon in water is released into the atmosphere when you turn on the faucets in your home. It is my understanding that for every 10,000 pcl in a homes water it will emit around 1.0 pcl into the homes air. It is breathing the air that causes cancer.